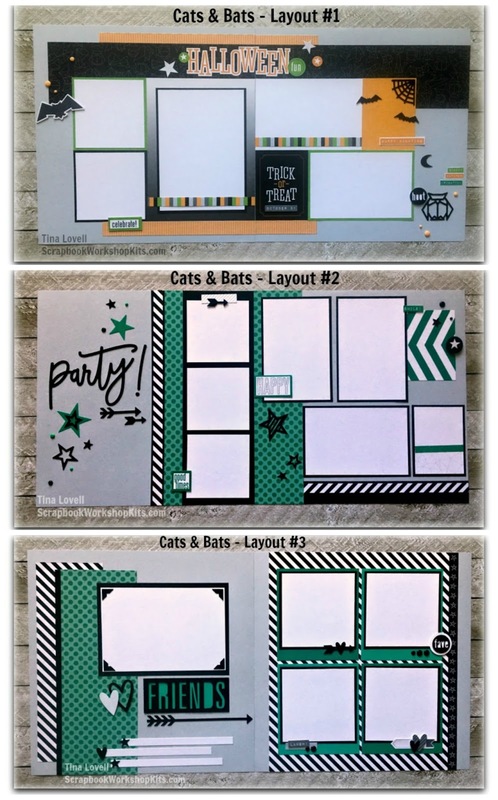 Today's kit is a dual purpose kit featuring the brand new CATS & BATS paper collection. This paper has a definite Halloween vibe and so I created 1 Halloween specific layout, but it also just has some fun bright patterns. For the other 2 layouts I opted to focus more on a Party theme and neutral theme to give you more options for photos. Cutting Guides still available for $10.